Over the past four decades, clarinet and saxophone players have trusted Rovner Products to provide them with innovative, technologically superior, high-performance ligatures and woodwind accessories. Designed with price and performance in mind, the variety of Rovner handmade all-American products are an extraordinary value. 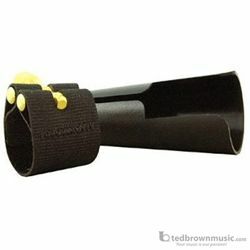 Students to renowned musicians know that whether they're playing classical or klezmer, jazz or rock, in a marching band, a club or a concert hall, a Rovner ligature will help them deliver their finest performance.